Today, Intel announced a comprehensive hardware and software platform solution to enable faster deployment of customized field programmable gate array (FPGA)-based acceleration of networking, storage and computing workloads. Complex data-intensive applications in the areas of genomics, finance, industry 4.0 and other disciplines are pushing the boundaries of data center capabilities. 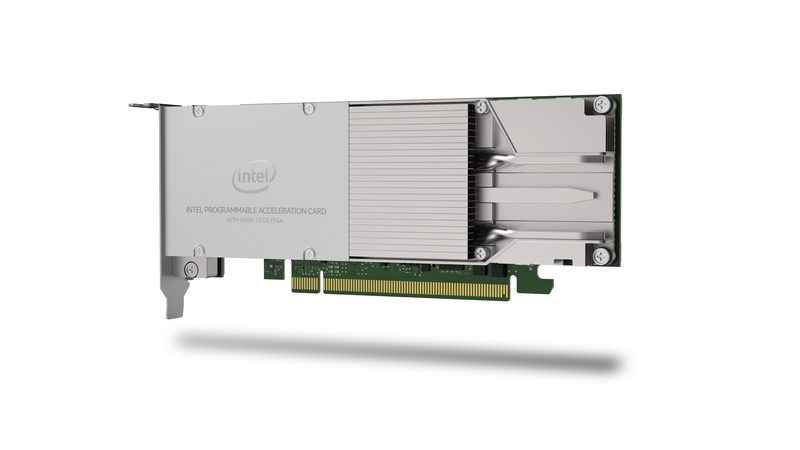 Intel® FPGA-based acceleration exploits massively parallelized hardware offloading to maximize performance and power efficiency of data centers. 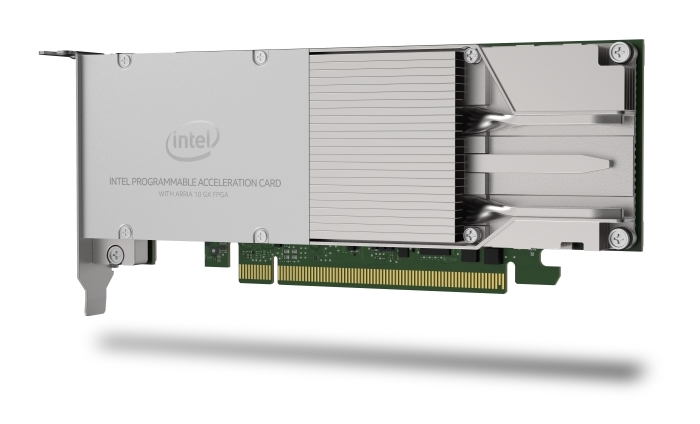 As the first in a family of Intel® Programmable Acceleration Cards, today Intel is unveiling the Intel Programmable Acceleration Card with the Intel® Arria® 10 GX FPGA enabled by the acceleration stack.